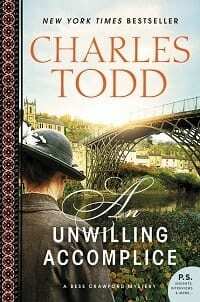 Blog Book Tour | “An Unwilling Accomplice” by Charles Todd The sixth novel of the Bess Crawford mysteries! 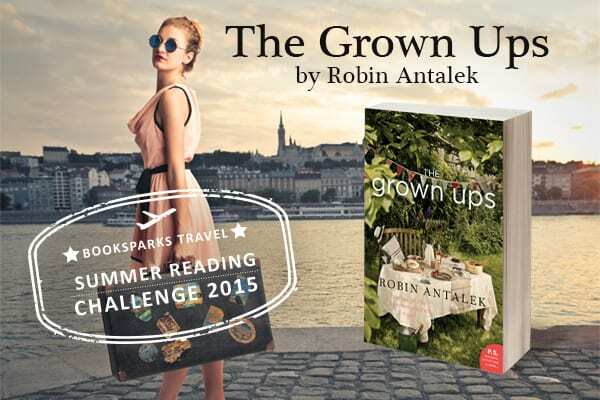 I was selected to be a tour stop on the “An Unlikely Accomplice” virtual book tour through TLC Book Tours. 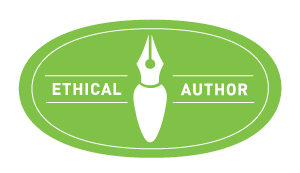 I received a complimentary copy of the book direct from the publisher William Morrow (an imprint of Harper Collins Publishers), in exchange for an honest review. I did not receive compensation for my opinions or thoughts shared herein. I borrowed the first book in this series from my local library for my own edification and was not obligated to post my reflections and/or review on the story’s behalf. I wanted to understand a bit of the back-story on the principle character of Bess Crawford prior to reading the 6th book in the series. I originally perceived the idea to read the first five novels in the series prior to my tour stop, however, the hours disappeared before I could. The lightning storms did not give me any favours towards this goal, either! I was thankful I could meet Ms Crawford and find an anchour to who she is prior to soaking inside the sixth novel; yet I fully intend to go back through the series starting with the second novel and reading through til the fifth, skipping over the short story (non-digital reader) and this sixth one in strong pursuit of the seventh! I find myself wanton absorbed into the series! The reason I was quick as lightning to confirm my participation on behalf of this blog tour is based on the absolute joy I had in reading my first Todd novel Hunting Shadows! I was quite impressed with the duality of historical novelling from this lovely mother-son writing duo to such an extent: I knew quite instinctively I would become quite partial to Bess Crawford before I ever knew too much about her! Call it reader intuition if you will, but I knew quite in that instant of being broached if I wanted to become a part of this dual-blog tour for both the sixth and seventh novels of a series in progress that I would become Crawford’s newest champion! There are moments where you are so captured by the breadth and the heart of a novel’s core, you simply want to continue to read as much as you can by the author whose penned a story you can sink your mind inside whilst feeling as though you can equally find comfort in stepping outside this world of intense realism without the worse for wear. Reading a historical suspense novel of the Todds is a delicious respite as you can time travel back inside a particular moment in history, lively at war and match step with dedicated professionals who guide you through their living hours. Between now and my next stop on this beautiful tour celebrating the series, I will be reading the next books in line to be consumed, as I could only read the very first Bess Crawford mystery, of which I shall relate to you how it tucked inside my soul. We enter Ms Crawford’s life in 1916 during WWI, wherein she’s a sisterly nurse on board the Britannic an ill-fated hospital ship struck down by a hidden mine. Bess Crawford is attempting to convey a snippet of her life aboard ship whilst at a proper loss how to express the dullness of an ordinary day at sea without the benefit of the wounded. She is honest about the dangers being on a ship in U-boat territory but with a sly nod to the familiars of ordinary life spent in service. Even her coy banterment with an officer proved she found a balm of normalcy in the midst of war. A blessing whilst reading a Todd novel, is the assurance of the story-teller(s) to eclipse you so very surely into the novel’s depth that by the time you reach a quell in the horror of war or the emotional hardship of an injury; you have already taken up residence alongside the character Todd has endeared your heart to champion. I applaud the realism and the choke-hold of gasping shock when the sinking of the Britannic was shown. I felt heart-clenched to Bess, willing myself to see, feel, and taste what she was experiencing whilst longing for her rescue. Todd has a character-centric voice of giving you such a close-personal heady experience, you feel you’ve lived half a lifetime with each novel you read. Dr. Phillips is a curious fellow – by the time the story shifts from war to the homefront, we become entranced with the eccentric and yet reserved creatures of a small towne of Owlhurst, thus named after a patch of woods known for housing owls! This is where the drama of alarm rings itself out for Ms Crawford, as she has gone henceforth in haste (after managing to put it off for a bit longer than necessary!) to seek out a family a dying man she nursed requested of her to take his deathbed message back to his brother. Dr. Phillips is the towne’s doctor, and along with the rector of the village itself, Ms Crawford finds herself entangled into the thorny past of her beloved soldier; a person of whom her opinions shifts the longer she spends caught up in his affairs. His family is not without their skeletons, but it is how their omissions and their repressions of their past beguiles Ms Crawford that paints the scene all more intriguing to the reader. Knickers quickened to knots over the competence and tenacious approach of Ms Crawford to take up the heed of medical assistance, not once, but twice whilst she is a guest at the soldier’s family estate. The Grahams are a curious (and aptly suspicious) lot, wherein she could never quite finger what was odd about them until nearly the golden hour in which her own life might have become hung in the counterbalance! One would have felt her aperture to serve whilst not in official capacity would have appeased the family for giving a sign of both courage and strength, yet her efforts had quite the opposite effect! This is the underpinning reasons why Ms Crawford started to nettle inside her mind what was truly lying in wait for her to discover; the more they attempted to hide the truth from her suppositions, the more her mind ferreted out a reason to question their authority on where the truth truly lay. What hidden secrets in their past reflected out in their cold disdainment for a brother and son? War is known as a cruel mistress, yet those who return with the aftershocks of service had little sympathies from their families and even less compassion from medical and spiritual adviseries. Save the nurses who understood far more than everyone else combined. Knitted into this first novel of the Bess Crawford mysteries is a trifold of suspense surrounding three young blokes of whom warrant the most attention to be focused upon: Arthur Graham (the wounded gent entrusting Ms Crawford with his message); Ted Booker (a soldier afflicted by PTSD; previously called ‘shell shock’), and Peregrine Graham the eldest of the four brothers, of whom Arthur was related. I could not pull my eyes off the dialogue and text of this novel, because the Todds have become so intrinsically tethered into this WWI era as to alight into our minds an imaginary time where a young and capable woman such as Bess Crawford can not only reside but take up arms against the unjust in such a convincing way as an elder Miss Marple! I kept turning it over in my mind what drew me the most into her world – it was at first the historical backdrop of the timescape but then, as the layers were fleshed out and stitched together, it was the classic Todd narrative of giving a story an underlit joy of a strong lead character whose self-assurance and capacity for sleuthing was a paramount wealth of excitement on behalf of the reader! Seeing everything through Bess Crawford’s eyes and the underscore of her emotions, knitted together a suspenseful plot writ out of such an ordinary request from a fallen soldier, that it took a skilled story-teller in this duo of writers to give us such a hearty novel to devour! I read the first 58 pages in my first sitting and consumed the full of the novel in my second; lightning crackling more times than naught, and without the benefit of tweeting out my happy delight in seeing where Ms Crawford’s museful thoughts led me to decipher the mystery; I simply awaited my words to become laid to rest on my blog. By reading this first mystery out of a series of 7 novels, I was able to ascertain the countenance of Bess Crawford but also, the beauty of her life being lived off the pages of her stories — the Todds have such a confluence of creativity between them, it hadn’t felt like a ‘first novel’ of Bess Crawford but one of many already penned. The continuity and attention to even minor details was quite excellent and this novel not only justified being read ahead of another in the series but provided the background necessary to understand who Bess Crawford is as a character. Including her close ties to India and her beloved respect for her father, of whom influences her even when his presence is absent. In this absorbing and atmospheric historical mystery from New York Times bestselling author Charles Todd, World War I battlefield nurse Bess Crawford's career and life are in jeopardy when a murder is committed on her watch. Bess Crawford has been summoned by the War Office to accompany a wounded soldier from Shropshire to Buckingham Palace, where he's to be decorated for gallantry by King George himself. 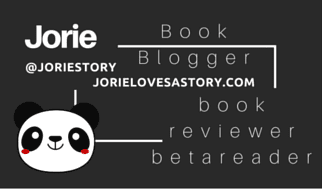 I was selected to be a tour stop on “Balm” virtual book tour through TLC Book Tours. 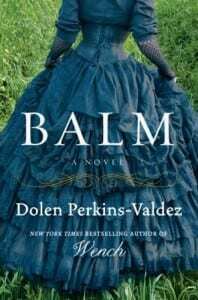 I received a complimentary ARC copy of “Balm” direct from the publisher Amistad (an imprint of Harper Collins Publishers), in exchange for an honest review. I did not receive compensation for my opinions or thoughts shared herein. Whilst I was requesting to be placed on this blog tour, I requested a copy of the author’s debut novel “Wench” to become introduced to her style and possible continuity; blessedly I received a complimentary copy of the book direct from the publisher Amistad (an imprint of Harper Collins Publishers), without being obligated to post a review, as my ruminations on behalf of this novel are for my own edification only. Loved the continuity of the historical era in which the author started inside Wench. I regularly read Southern Lit in regards to the Deep South, plantations, abolitionists and the Underground Railroad in general. My first TLC Book Tour was for The House Girl and since then I have continued to find novels set within this era either for TLC or other publicists; the last of which was Redfield Farm. The New York Times bestselling author of Wench—called "a fascinating and tragic story" by NPR.org, "deeply moving" by USA Today, and "lyrical and devastatingly beautiful" by People magazine—returns to the Civil War era to explore history's next chapter in this powerful story of love and healing. Born with magical hands, Madge has the power to discern others' suffering and ease it, but she cannot heal her own damaged heart. To mend herself and continue to help those in need, she must return to Tennessee to face the women healers who rejected her as a child. In the bitter aftermath of a terrible, bloody war, as a divided nation tries to come together once again, Madge, Sadie, and Hemp will be caught up in an unexpected battle for survival in a community desperate to lay the pain of the past to rest. Dolen Perkins-Valdez is the author of the New York Times bestselling novel Wench. Her fiction has appeared in the Kenyon Review, StoryQuarterly, StorySouth, and elsewhere. In 2011 she was a finalist for two NAACP Image Awards and the Hurston-Wright Legacy Award for fiction. She was also awarded the First Novelist Award by the Black Caucus of the American Library Association. She teaches in the Stonecoast MFA program in Maine. A graduate of Harvard and a former University of California President's Postdoctoral Fellow at UCLA, Dolen Perkins-Valdez lives in Washington, D.C., with her family.